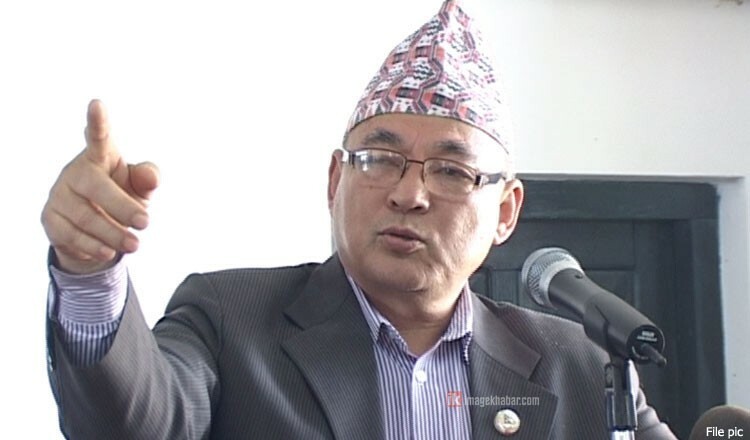 Chitwan –Minister for Home Affairs Ram Bahadur Thapa said that no protection will be ensured to those involving in inhuman activities. Addressing the convocation of junior police officers' basic training (2-174 group) at Bharatpur today, Minister Thapa shared that police have a crucial role to control the crimes against the women, children and marginalized communities. He opined that the police should work preparing effective plans to control activities affecting the national integrity, nationality and sovereignty as some disgruntled groups may exercise to disharmonize the social cohesion in the transitional period. The Home Minister also said that the country is adopting new civil code and penal code from August 17 and police should prepare ground for the same. He also said that the police should be people-friendly to win the aspiration of public. Similarly, addressing the programme, Inspector General of Police (IGP) Sarvendra Khanal directed the officials to be committed in public security. He also urged the police officers to search their professional career inside the organization not elsewhere. A total of 432 junior officers received convocation certificate after completing the training.